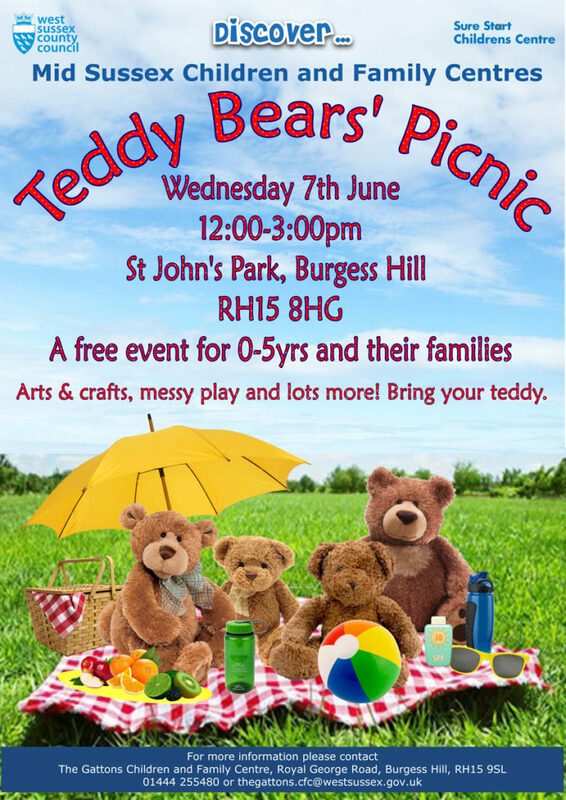 Burgess Hill Nursery are excited to be going to the Teddy Bears’ Picnic on Wednesday 7th June 2017 at St. John’s Park hosted by the West Sussex County Council and Sure Start Children’s Centre. Come and see Mrs Roberts, Nursery Manager and her team – they can’t wait to meet you. They will be showing you and your little ones some of the favourite activities which are enjoyed by the boys and girls at our outstanding, all year round Nursery in the fabulous grounds of Burgess Hill Girls. See you there. The Teddy Bears’ Picnic is open from 12noon to 3pm and is a free event for 0-5 year olds and their families. Don’t forget to bring your teddy.